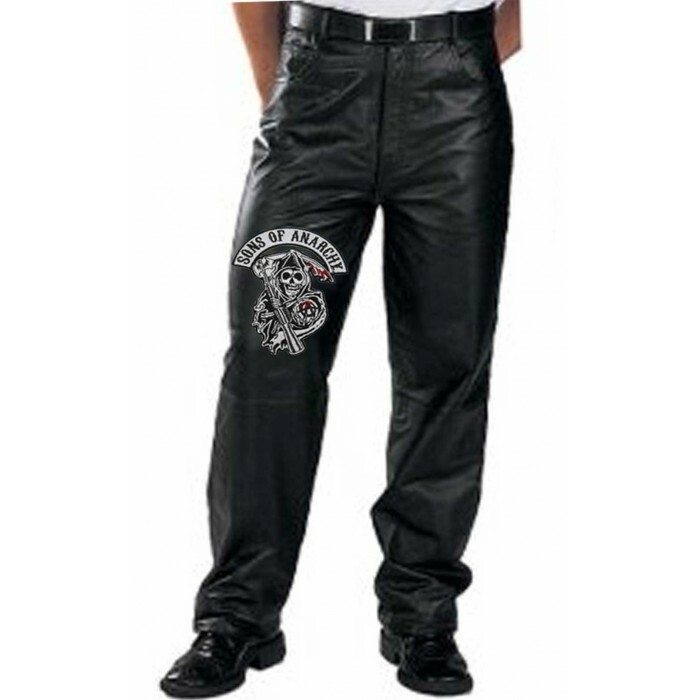 Son of anarchy black leather pants is the stupendous pants that can be used on casual occasions as well. 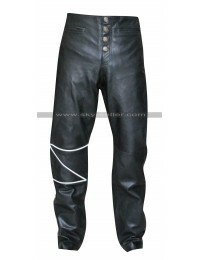 Premium quality leather material is used to design and manufacture this pants. 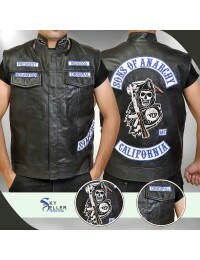 Black color and glow of leather make it glossy in an astounding way. Logo of anarchy is fitted on the right side of the pants. 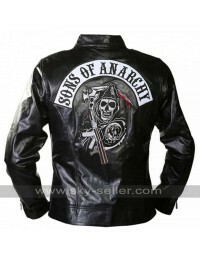 Along with long length of the pants, upper closure has the buttoned hook with vertical zip. 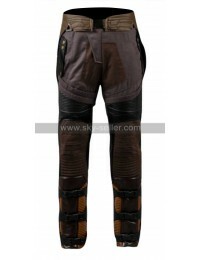 Total 4 pockets are present on the pants, two on the sides and two on the back. This pants is suitable on every type of your garb and wardrobe.